Excel changes cell format to date or currency always when you write some value? This problem can have several reasons. Some custom style is may be used in the cells. To fix this: go to the Home >> Cell Styles >>select Normal or edit/delete your custom styles. You can see the custom Style 1 in the picture. 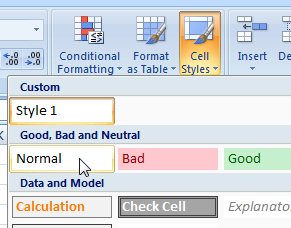 Conditional formatting is may be applied to the cells. 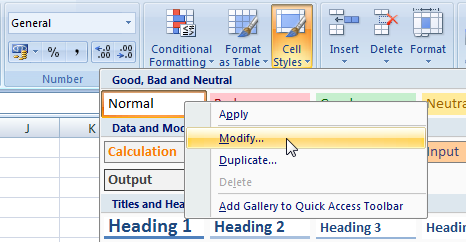 To fix this problem, check the rules manager: go to the Home >> Conditional formatting >> Manage Rules… >> edit or delete rules. The picture shows 2 rules that change format to currency and date. And then just add +1 extra year for each cell in next year. And you can repeat that story for the next few years. At the end I calculated values for the next 20 years. At the end use IF function in cases you get date value and not number value. How to check if there is date and no number value, very simple procedure. If desired cell has value higher than 40000 it seems Excel put in cell date value and no number value, so in that case use VLOOKUP value for possible default dates and represent as real number value. Didn’t work for me. Does anybody know some other solution? Please help.